This photo taken on February 27, 2017 shows Chinese police attending an anti-terrorist oath-taking rally in Hetian, in China’s Xinjiang region. China has fiercely defended an escalating crackdown in the far western province of Xinjiang as necessary for security, claiming inmates of “re-education camps” are happier following their imprisonment. International outrage has been growing over reports the Chinese government has forced as many as one million people into “re-education camps,” where former detainees say they were forced to endure intensive “brain washing” sessions including close study of Communist Party propaganda. In the most vocal defense yet of the mass internment of the mostly Muslim Uyghur minority group, Shohrat Zakir, a high-ranking Xinjiang government official, told state media the Chinese government was fighting “terrorism and extremism” in its own way, and in accordance with United Nations resolutions. “Today’s Xinjiang is not only beautiful but also safe and stable. No matter where they are or at what time of the day, people are no longer afraid of going out, shopping, dining and traveling,” he told state-run news agency Xinhua, Tuesday. The camps are part of Chinese government efforts to combat what it says is a rising tide of extremism in the far-western province of Xinjiang. The majority of the province’s population were until recently Uyghurs rather than Han Chinese. “Their brutal tactics are self-fulfilling. They’re busy creating the very radicalism they claim to be tamping down,” she said. 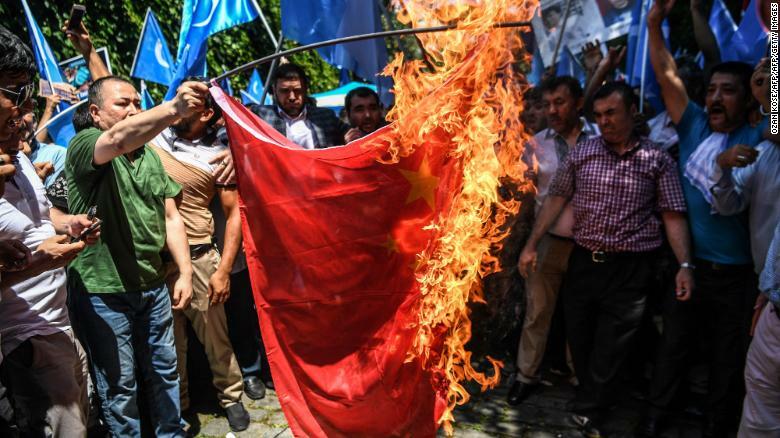 Protesters burn a Chinese flag during a demonstration to denounce China’s treatment of Uyghurs in front of the Chinese consulate in Istanbul, on July 5, 2018. That move came less than two months after a Chinese government spokesman completely denied the existence of re-education camps during a UN hearing on human rights. Speaking to Xinhua Tuesday, Shohrat Zakir didn’t deny the existence of the camps, instead saying former detainees had been transformed for the better by their time inside. “Many trainees have said that they were previously affected by extremist thought and had never participated in such kinds of art and sports activities, and now they have realized that life can be so colorful,” he said. “Those Western forces don’t care about the welfare of the Xinjiang people. 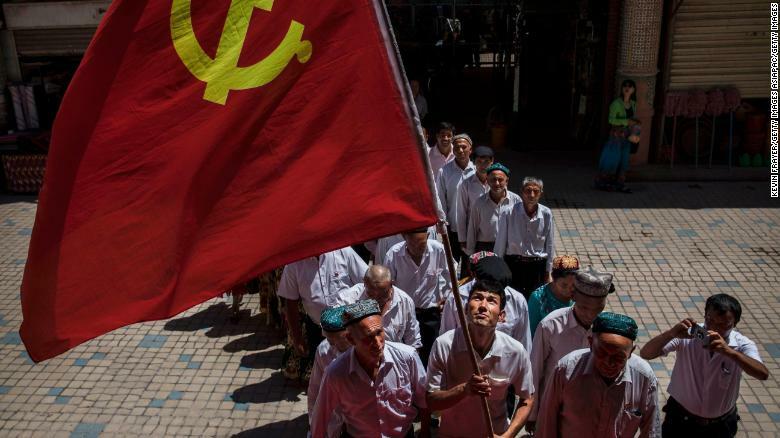 They would rather sacrifice stability in Xinjiang and the lives of hundreds of thousands for a single geopolitical victory over China,” the editorial said. Hu Xijin, the paper’s editor and a vocal defender of the Chinese government, claimed on Twitter that he knew the number of people in the re-education camps. After an initially slow reaction to the reports out of Xinjiang, the Trump administration has joined a number of other governments in speaking out on the crackdown. Earlier this month, US Vice President Mike Pence accused Beijing of “around-the-clock brainwashing” in the government centers. “Survivors of the camps have described their experiences as a deliberate attempt by Beijing to strangle Uyghur culture and stamp out the Muslim faith,” he said. While Xinjiang has a long history of oppression — driven by Beijing’s paranoia of Uyghur nationalism and separatism — the most recent crackdown is largely unprecedented. In a statement Tuesday, Human Rights Watch called for the Chinese government to release children allegedly sent to orphanages while their parents have been placed in detention. 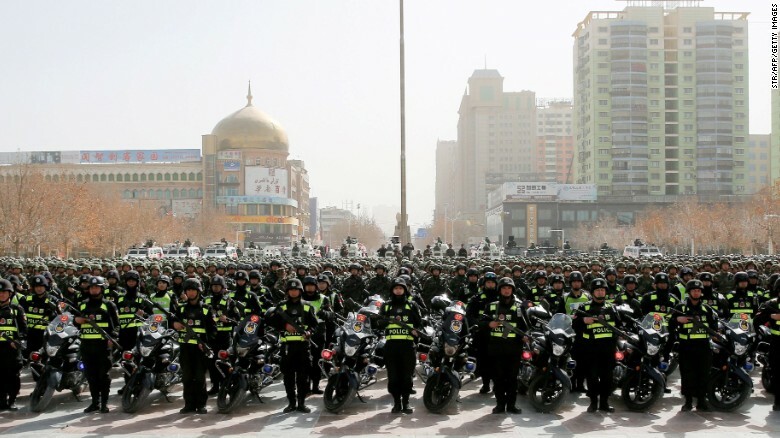 “Governments that weren’t previously outraged by Beijing’s actions in Xinjiang should press China to change course immediately and limit the long-term harm of these policies,” said HRW China director Sophie Richardson.